When completing a sale in The Spa/Salon Manager, type the amount in the credit card area. A credit card screen appears to allow the credit card to be swiped. When the sale completes, a credit card receipt prints for the customer to sign. Press “Save” to complete the sale. The whole process is completed in about 6 seconds. Contact X-Charge sales at 888-413-1125. Identify yourself as a Spa/Salon Manager customer for group rates. After reviewing and signing a merchant agreement, call us at 800-682-2998 (ext 2) to configure The Spa/Salon Manager with the integrated credit card processing company that you chose. No. You can process credit cards using any merchant services. with my current merchant service? No. The Spa/Salon Manager is certified with only X-Charge and ChargeItPro software. Is the service available for Canadian customers? Yes, both work for Canada. 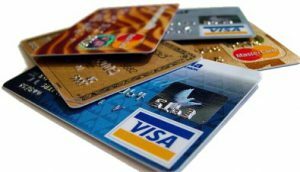 What credit cards can I process? They both support all major credit cards including American Express, Discover, Mastercard and Visa.